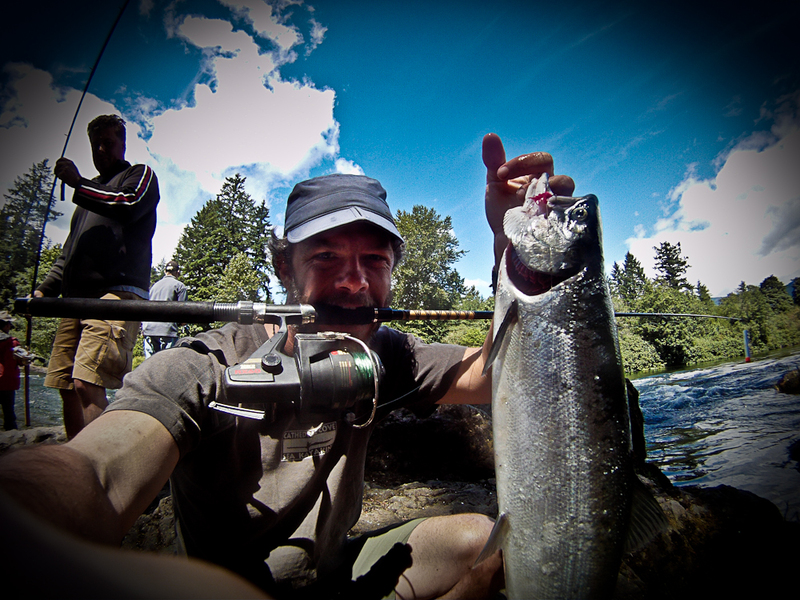 Summer in Canada and the first Sockeye Salmon Run for the year was on in Port Alberni, Vancouver Island. 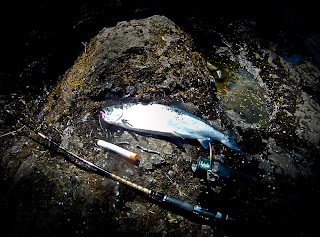 I had never Fished for Salmon on the River Before so this was an exciting time for me, almost 8 years in Canada and I had only Fished on the Ocean for sea Run Salmon, mostly Pink Salmon, and Coho Salmon, trolling a Lure behind a Runabout or Sea Kayak. This was very different fishing on the river as not only were you fishing shoulder to shoulder with a bunch of other fisherman, casting and retrieving in almost frantic pace, you where also targeting fish that had stopped eating, though where aggressive and competing too spawn. The eta cit for casting, is to let the person down stream from you cast first, then you go and then the next and so on (quite stressful to start with and can be avoided by supper early fishing in the morning).The popular fishing rig used here is a sliding float, about six feet up from your weight and Lure (basically what ever length to let the Lure and weight bounce along the bottom but not get snagged in rocks), tube lead weight and feathered or wooled hook. 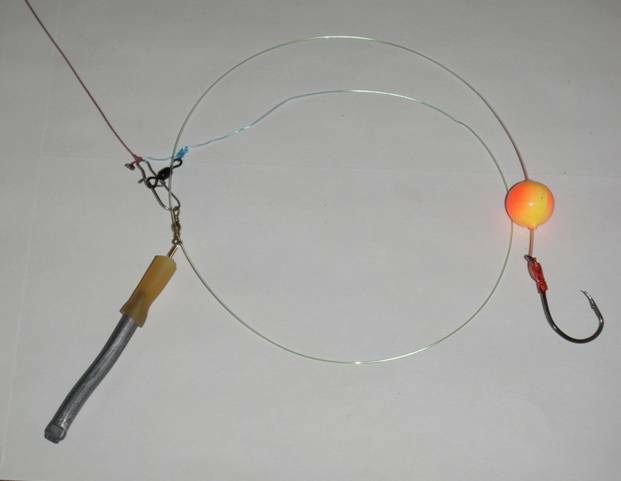 The weight is lead tubing cut to length on a Quick Release system of silicone bands or light test nylon, the amount is enough for the flow of the river and to get the float to stand straight up and down; the length is correct between float and Weight if you can feel it bounce along the bottom but not snag. The lure is often coloured wool (Red, Blue, Green, a mix?) 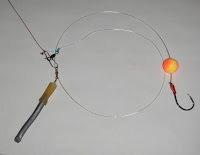 tied to the base of a Barb less hook, you can also use fish egg gel like add ons. The idea here is that the Salmon want to strike and destroy any other fishes row (eggs), seems to work; others say its just because everything is annoying to them and just a hook would work! Click Here for a good article on bottom Bouncing Set Up. Casting is kinda like fly fishing in that you try to guess where the fish will be sitting in the river flow and cast up the stream and let the lure drift through them, where you hope to get as strike and hook up. You feel the fish hit the lure and you strike then the fun begins. The only problem now is the other twenty fisherman you are standing in line with. You now yell "fish on!" every one down stream of you pulls in there lines and gets out of your way as you real the fish in to the side. once you are out of the way some one else steps into your place in the line and every one goes back to taking turns casting in the river for there two fish they are allowed daily! It took me two days though I finally Landed 2 fish on my second day! I have since fished the Fall (autumn) run of Chum Salmon on the east coast of Vancouver Island using the same technique, very good way to stock your freezer with fish, while enjoying the outdoors, all at the Price of a $60 annual fishing license. Read More About Pacific Salmon Species Here. Lendal Paddles Has Found Its New Look! Watch out World, Lendal is back and the new paddles are looking out of this world! I am super excited to see Lendal Finaly stepping up to the new technology Werner has been hogging these last few years and it looks as though Lendal may be back in the lead! Good job Micheal Duffy, Dave Hulburt and Nigel Denise! Rochester, NY. 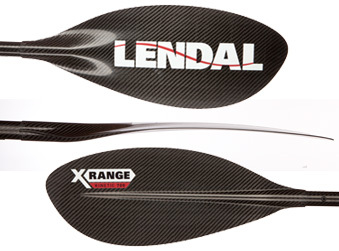 (August 3, 2011)—Lendal North America announces the launch of the Lendal X-range touring paddles; a major step forward in innovation and technology. Lendal’s new X-Range combines the renowned performance of the Kinetik Touring blade with the latest in composite engineering. Designed by kayakers for kayakers, this four piece paddle features aerospace carbon technology and customized Paddlok® design. Our new manufacturing process ensures that X-Range paddles have the highest quality, are extremely lightweight, and remarkably strong. The four-piece paddles continue to demonstrate exceptional rigidity due to the patented Paddlok system, with a new ergonomic, elegant design. Handcrafted in America, the X-Range represents Lendal’s commitment to quality and innovation. Based on feedback from world-class paddlers, X-Range shafts feature a bio-engineered grip that is formed directly into the shaft reducing hand fatigue and increasing hand comfort. Two grip profiles accommodate paddlers with smaller and larger hands along with straight and modified crankshaft versions. The X-Range series blades currently consists of our most popular Lendal blades, the Kinetic Touring 650 and Kinetic Touring 700. We replaced the center rib with a foam-filled, foiled back face for a more fluid feel on the water while retaining proven power face geometry. In the words of Neil Baxter, World Champion kayaker and the original designer of the kinetik blade, “The new shaft adds to the sensations of control. In a quite awkward sea and wind I felt totally at home with the blade in minutes always knowing the exact position of the blade to water and wind. Overall a very pleasant experience. On the downwind using stern draws and the ever present reverse steering stroke it was masterful. I would give the blades a 10 out of 10!